I'm about to embark on a new first here in Saudi Arabia; I'm going to Jeddah to go to the dentist. It'll be at the International Medical Center so don't worry about it being some backwards dentals shop on the side streets of where ever. While going to the dentist is rarely fun, it will be nice to (hopefully) be done with the dentist for while as this is the result of almost a year's worth of dental problems for me. Here's a little background for those who might not know. Back in March of last year, I went to the dentist and found out I had the dreaded cavities. This was my first set of cavities in my entire life so I was quite disappointed. I got them filled while I was living in Merrillville and sadly had to pay for it out of pocket because I didn't have insurance after graduating. After several weeks, one of the fillings was still painful, enough to warrant another trip to the dentist. He attempted to relieve the pressure under the filling, but also gave me bad news that the filling was probably too close to the tooth nerve and that was causing the irritation and pain. The dentist, or rather his nurses, gave me two options: a root canal now or a root canal later. There was still a chance that the whole area would calm down and provide no further problems, but there was a chance it would get infected and cause me even higher levels of pain. Staring into the face of $1000 worth of root canal or a few more months of cautious chewing and avoiding cold drinks, I decided to wait it out. I knew when I got to campus I would be covered by insurance so I figured trying to stick it out might be worth saving $1000. This is my tooth after the root canal. How cool is that! I did end up getting a root canal here on campus back in November and honestly it was practically pleasant. The amount of time the dentist actually spent in the room with me was so much larger than back in Merrillville. Back in Indiana, it felt like conveyor belt dentistry. He was only in the room absolutely as long as necessary before rushing off to someone else. I even spent most of the time in the room alone. It never seemed like the dentist even cared who was in the seat as long as it was filled. It was totally the opposite here at the clinic. 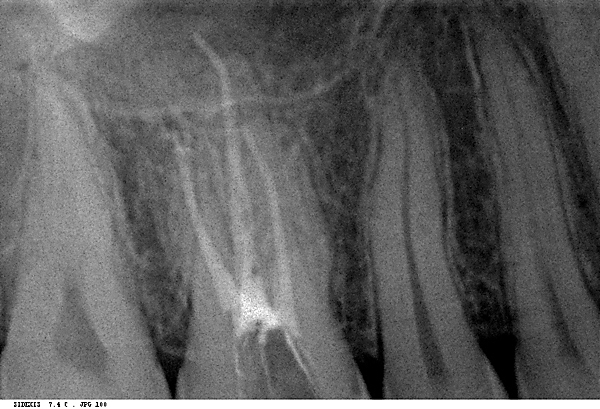 The dentist was very chatty, talked about what he was doing and what he saw, and he even let me see pictures of my tooth as he did the root canal! He actually made going to the dentist kind of fun! Updated: I didn't get a crown on my tooth tonight. Apparently crowning a tooth when it still hurts is a bad idea, so we'll try again next month! We did get some awesome stuff in Jeddah though, so tune in tomorrow to see what we got.